For the price of £39.99 a month, customers can make the most of BT’s Unlimited Infinity broadband and TV services. With HD and BT Sport included, and no set up fee, customers can save up to £310 by signing up to an 18 month contract. For those looking to combine all of their tech-needs into one simple, speedy and cost-savvy package, BT is offering customers who take out a contract for BT Infinity, great savings on SIMs and smartphones. There are no set up fees and the added bonus of free BT Sport in HD for 18 months means customers can save over £490 on this amazing deal. As a BT Broadband customer, they will get a £5 monthly discount on BT Mobile as well as extra Black Friday discounts, meaning savings of £84 on SIM only deals and up to £200 on smartphones. For example, BT’s 4GB SIM is now only £10 per month and the iPhone 6S is half price at £20 for six months with 6GB data. BT Mobile has fast 4G and wi-fi in more places than anyone else and with its new 30 day money back guarantee, customers can try a BT Mobile SIM only deal and if they are not happy with the service, BT will give them their money back. Big savings are also available on BT’s leading Whole Home Wi-Fi system. 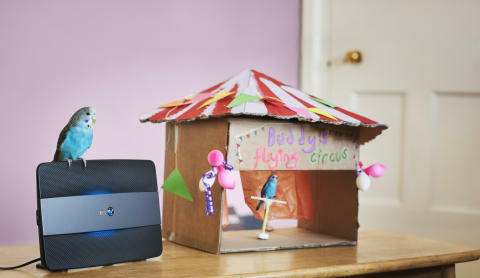 BT’s Whole Home Wi-Fi twin package offers complete coverage and eliminates “dead spots” - where previously there was no signal. The intelligent self-configuring wireless network cleverly switches the user to the fastest, strongest and most reliable wi-fi signal when they move from room to room. This Black Friday the twin pack is on offer for just £99.99 reduced from £149.99. Customers wishing to take advantage of BT’s Black Friday deals need to sign up by 27 November as the deals are only running for 11 days from 17 November to 27 November. BT Infinity £29.99 a month (including Line Rental). No set up fee (plus £9.99 delivery) plus 18 months free BT Sport HD on Sky. Save up to £410 over 18 months. BT Broadband, TV and Sport: starting from £24.99, customers can choose from packages including Infinity Lite for 18 months with no set up fee (plus £9.99 delivery), with unlimited BT Infinity Broadband it is £29.99 per month. All Broadband packages include BT Sport free for 18 months. These offers can be upgraded to include a BT TV Entertainment with HD package £10 a month extra for 18 months. BT Mobile SIM only and BT Broadband: £24.99 per month for BT Infinity,plus a 4GB mobile sim for just £10 per month. This offer also includes free activation fees, 18 months of free BT Sport and free HD TV. 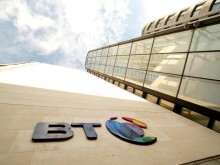 BT Mobile SIM only: 4GB SIM £10 per month, 8GB SIM for £15 or 20GB for £20. BT’s Black Friday deals are running from November 17 to November 27 only.